Throughout most of history the stars were thought to be fixed in place. Sure, they rise and set as the great celestial sphere moves around the Earth, but relative to each other their positions never change. We now know that stars do move relative to each other, but because they are light years away their motion isn’t easily noticed. It wasn’t until Edmund Halley measured the positions of stars that we began to understand their motions. 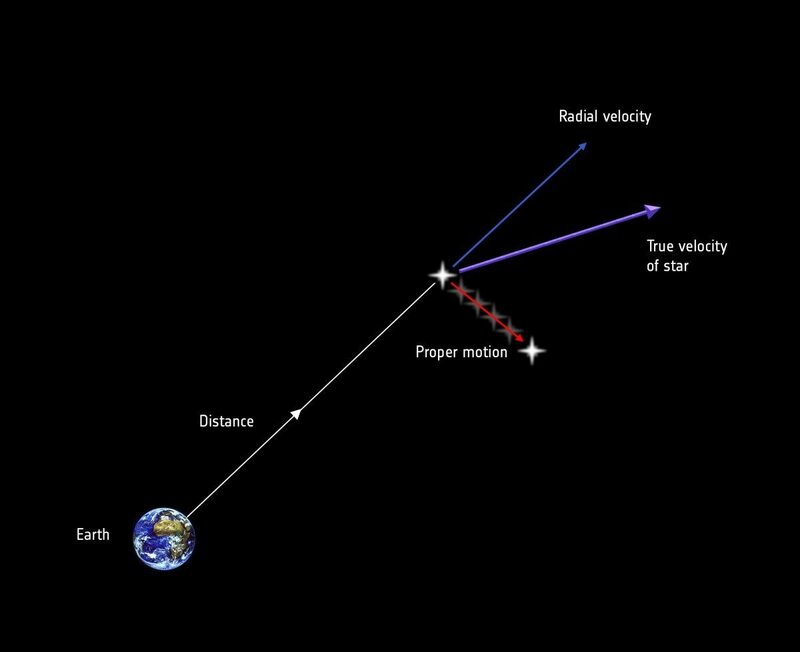 The motion of any star relative to us can be divided into two parts: radial motion, which is motion along our line of sight, and proper motion, which is motion across the sky (perpendicular to our line of sight). We can now measure radial motion fairly easily using the Doppler effect, but proper motion is more subtle and difficult to measure. In the early 1700s Halley set out to determine the precession of the equinoxes. At the time it was known that the celestial sphere shifted alignment over time, but the rate of that shift hadn’t been measured. To do this, Halley measured the latitudes and longitudes (we now use right ascension and declination) of the roughly thousand stars listed in Ptolemy’s Almagest star catalog. Halley compared his measurements with the results listed in the Almagest, as well as those listed in another star catalog by Hipparchus. Ptolemy’s catalog was published around 300 BC, and Hipparchus’ was published about 170 years later, so Halley could compare stellar motion over about 2,000 years. Halley found that overall the stars shifted in longitude by about 50 arcseconds per year, but he noticed that Aldebaran, Sirius and Arcturus shifted in latitude differently than other stars. 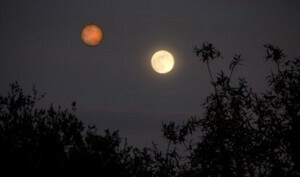 Over 2,000 years they had shifted relative to other stars. Thus, he argued, these stars must be moving through the heavens. To support his claim he noted that Tycho Brahe’s star table of the late 1500s also showed a shift for Sirius. It was a pretty radical claim for the time, which just goes to show that careful measurements can sometimes lead to revolutionary ideas. I made a web-based simulator so you can see how all the constellations change with time. Its based on Hipparcos data. Jeez.Helluva task & works great! Thank you Tony!! Loving it & sharing. ?? ?